Writing a thank you letter after an employment interview has become the norm, some employer’s think less of those candidates who fail to follow up with a thank you letter. The purpose of a thank you letter is to acts as a follow-up “sales” letter, it will restate why you want the job, remind employer of your qualifications, how you might make significant contributions, discuss anything of importance that your interviewer neglected to ask, summarize a question you failed to answer well or you neglected to answer thoroughly, help to remind employer who you are and make yourself standout (among several candidates). 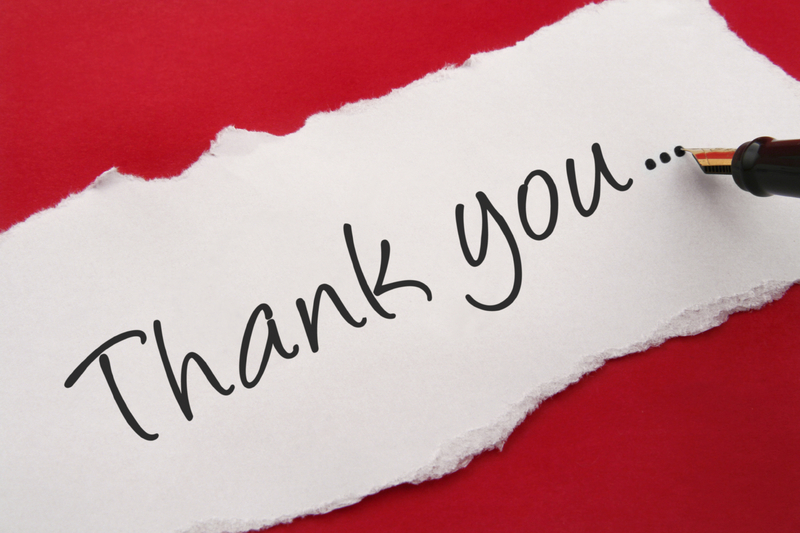 A normal timeframe to submit a thank you letter is normally Between 24 – 36 hrs after interview but try to do it sooner rather than later, it shows interest and enthusiasm. Each of these may have pros and cons but nonetheless it is something important and needs to be done after your interview. Blogger Maribel-Sanchez Rojas is a student of the Career Consultant Certificate Program at Mohawk College. MCACESblogs aims to assist job seekers and peers with their search and career development. Be sure to share our info! Happy reading.